If you’ve ever touched a glue board mousetrap, you know firsthand how difficult it is to free yourself from the sticky mess. For mice, it’s virtually impossible. While it may help mice to stop chewing through your wires, there’s no denying that it’s an excessively cruel way to eliminate rodents. Once trapped by the glue board, mice will struggle for hours until they eventually die of starvation. Sometimes their flailing causes their heads to get caught as well, leading to slow and painful suffocation. It usually doesn’t manage to spread across all the mice population, so you still have to find an alternative trapping method. Mice that do eat it will then die in hard-to-reach spaces, causing a rotting stench you won’t be able to fix easily. You run the risk of the poison affecting house pets and children, leading to sickness and sometimes even death. Spring traps are often thought of as a humane way to get rid of pests because, if done correctly, the death is instantaneous. The problem is that there is a very wide margin of error with these traps. It’s not uncommon for the spring trap to miss the mouse’s head entirely. What happens then? The same thing that happens with a glue board, except now the mouse likely has broken limbs or excessive weight bearing down on it as it starves. 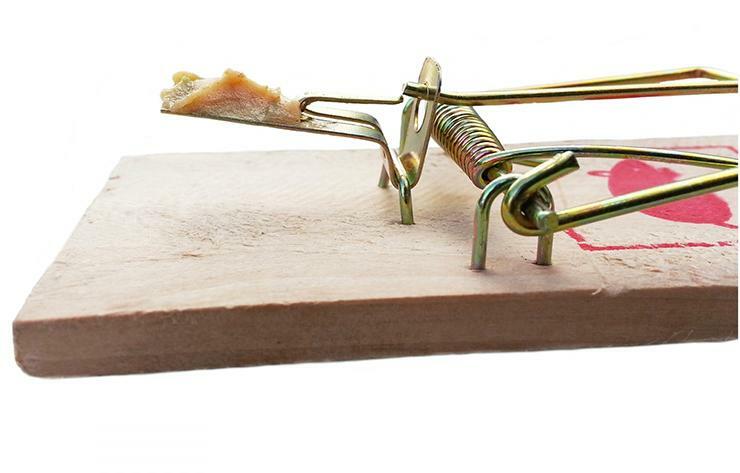 While the most humane mousetrap is a “catch and release” style, it won’t solve the problem. The mice will keep coming back until they’re eliminated. So in that case, the goal is to kill them as quickly as possible to avoid unnecessary suffering. An electric mousetrap achieves that goal. With one zap, mice are killed instantly, without any time to feel pain. Dome Mouser is an electric-based smart mousetrap that goes one step further. In addition to being a humane approach to killing mice, the Mouser is actually a smart device that you can add as part of your smart home ecosystem! This is important because it solves the other big problem with traditional mousetraps: you never know when the trap needs to be emptied. Once the Mouser traps and eliminates a rodent, it immediately sends you a notification on your smartphone. You then know to dispose of the mouse before it starts to stink up your home. With an innovative design, you don’t even have to look at the rodent—just press a button, tip the trap into the trashcan, and you’re ready to set it again. The Mouser communicates via Z-Wave technology and can be used with a large number of smart home hubs such as SmartThings, Control4, Vera, Logitech Harmony, and more. Are you ready to stop your mouse problem once and for all? Order your Mouser today.